Product prices and availability are accurate as of 2019-03-11 03:30:53 EDT and are subject to change. Any price and availability information displayed on http://www.amazon.com/ at the time of purchase will apply to the purchase of this product. 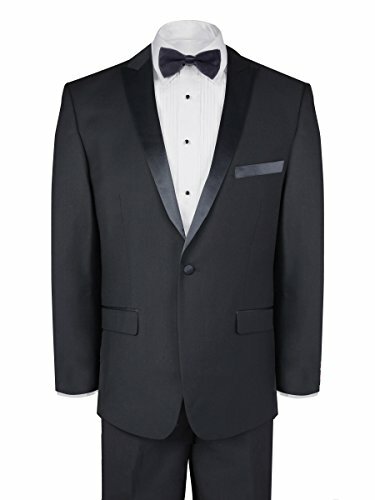 Don't rent; dress smartly and with style in this stunning slim fit tuxedo by Verdamo. Made from an ultra soft polyester/rayon blend, both the jacket and the trousers are lightweight and comfortable, and drape elegantly when worn. The jacket has a slim fit peak lapel, double venting, and a standard single breasted front with a one button closure for a classic look that works wonderfully well with its slim fit. The matching trousers boast a front pleat for a sharp look that is sure to shine at any formal event. STYLISH SLIM FIT. True to the contemporary trend towards building sleeker silhouettes, this Slim Fit Tuxedo by Verdamo is tailored to be more form-fitting with a slimmer peak lapel for a refined and stylishly sophisticated look. TWO PERFECT PIECES. 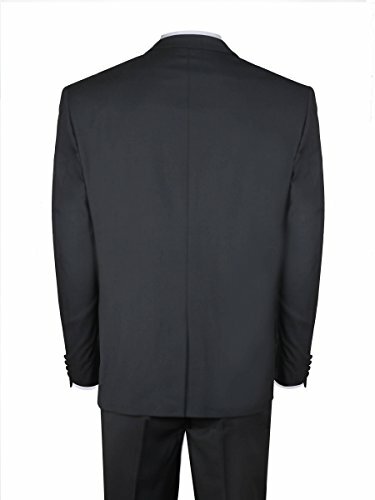 In addition to the slim peak lapel, the jacket is double vented and has a single-breasted front with a one-button closure. The matching pair of slim fit pants have a modern styled single pleat front with no satin stripe down the side of the leg. These trousers are shipped unhemmed so you can tailor the length to your exact specifications. PLEASE NOTE: this tuxedo comes with a 7" drop which means that a 40R jacket, for example will be paired with a size 33" waist pants. SOFT AND COMFORTABLE. 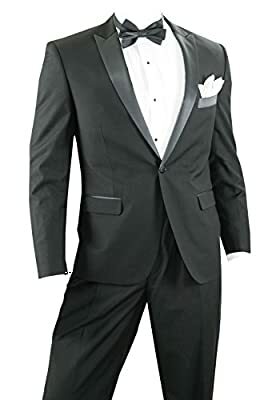 Constructed from an ultra soft and lightweight blend of polyester and rayon, this tuxedo has a silky texture and a fantastic drape similar to what you would find on much higher priced tuxes. AVAILABLE IN BOTH BLACK AND WHITE. Whether you choose to go traditional with black or with white, this slim fit Verdamo tuxedo is sure to make an elegant impression. NO NEED TO RENT. Why rent an aging, well-worn and worn-down tuxedo? 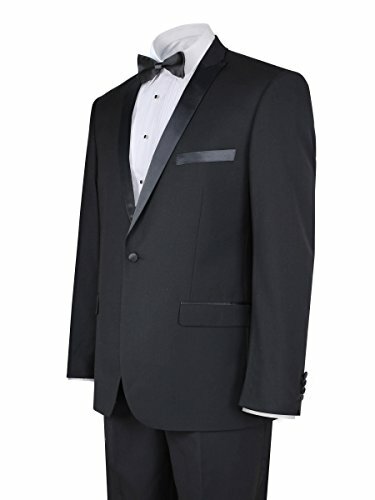 This gorgeous tux is well made, well designed, and so affordably priced that it's exceptional alternative to rentals.